A “secret” acquisition of of nearly 4,290 acres of land adjacent to Varavu Kaval and Khudapura villages in the district of Chitradurga, Karnataka, which place seven months after India’s Parliament ratified the US-Indian nuclear cooperation by Parliament May 2009, has gone internationally controversial six years after the process began. An investigation by a top American non-profit organization, the Centre for Public Integrity (CPI), has allege that the manner in which the acquisition took place “stunned” the villagers, who were “not told” at the time about any of these transactions, and even the documents were released to them — mostly pastoralists and tribals — two years later. While the Defence Research and Development Organization (DRDO), India’s premier defence research agency, was given away 1,500 acres, the Indian Institute of Science, a high-profile research centre of Bangalore that has “frequently worked” with the DRDO and India’s nuclear industry, was given 573 acres, and yet another and 1,810 acres were given to the Bhabha Atomic Research Centre (BARC). “The environment ministry approved the Mysore site’s construction as ‘a project of strategic importance’ that would cost nearly $100 million in October 2012, according to a letter marked Secret, from the ministry to atomic energy officials that month”, Levy said. 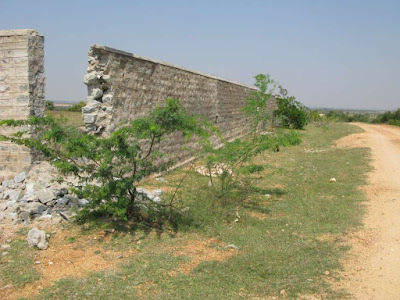 “By the spring of 2014, more than 17 miles of 15-foot-high walls had been built throughout the kavals, catching out villagers who had not been consulted. They were now prevented from grazing their cattle or, in some cases, from reaching holy sites. A few broke through the walls. Most were rebuilt immediately and security patrols by a private company now guard them:”, said Levy. “BARC and the DRDO still provided no detailed explanations to anyone on the ground about the scope and purpose of their work. Highlighting local discontent, almost all of the villagers ringing the kavals boycotted the impending general election, a rare action since India’s birth as an independent democracy”, Levy underlined. “In Challakere, construction continues despite a ruling by the National Green Tribunal on August 27, 2014, that called for a stay on all ‘excavation, construction and operation of projects’ until environmental clearances had been secured”, Levy said.